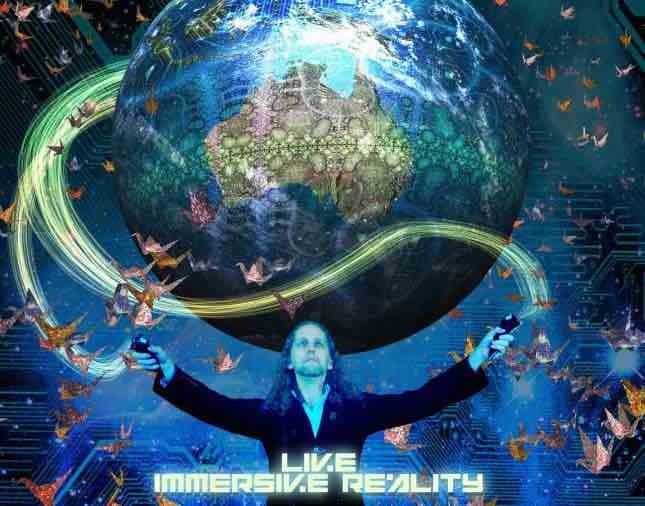 Lucid Dreamscapes will amaze you as you fly warp-speed through one-of-a-kind animated worlds. From the work of pioneering multimedia artist J-Walt, this digital live performance utilizes the latest in interactive computer graphics techniques to bring paintings to life. The result is an improvised real-time immersive animated environment that unfolds before an audience. The artwork incorporates elements of animation, theater, dance, painting, sculpture, music, architecture, and interactive art. J-Walt is a performer, interactive designer, filmmaker, graphic artist, and composer. For 25 years, he has been at the forefront of interactive art and computer performance, expanding the uses of computer animation into unchartered territories. He is an award-winning pioneer of computer-generated puppetry. In March of 2006, he won a Technical Academy Award for his development of a real-time pre-visualization system. This is a live performance presentation for entertainment only not an astronomy lecture or show. Minimum age recommended 8 yrs and above.